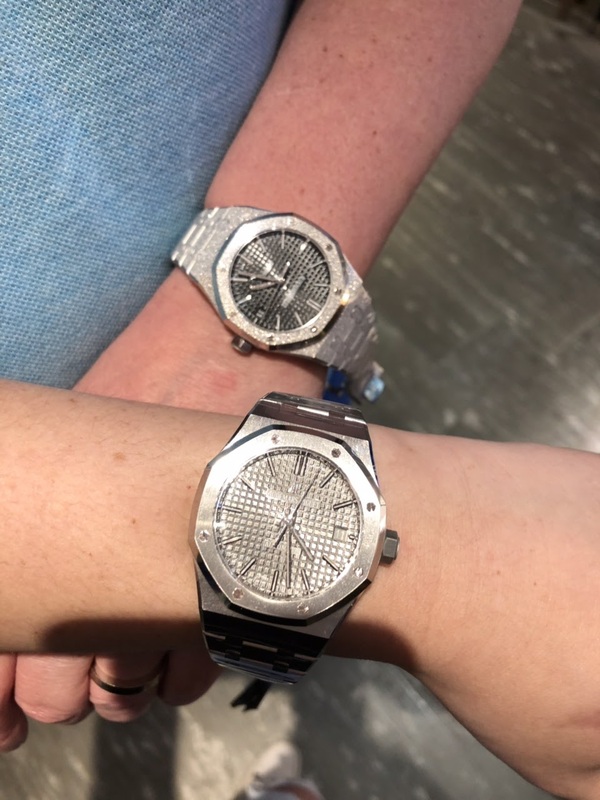 While visiting the AP boutique in Kuala Lumpur and trying the different code 11.59, which did not sing to me, I decided to try the AP Royal Oak Grey dial 37mm. 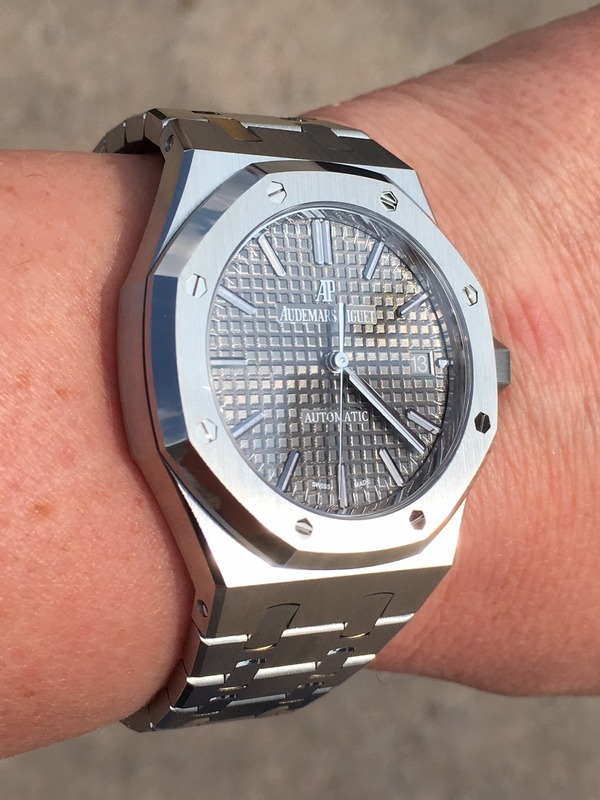 To my surprise this fits like a glove on my wrist, no need to remove any links. Resistance turned out to be futile. 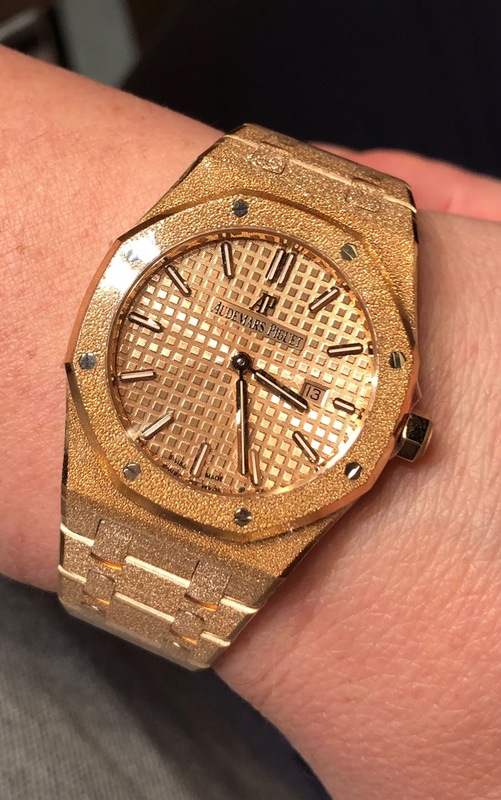 At the same time my wife tried the frosted gold grey dial and I must admit they look awesome. 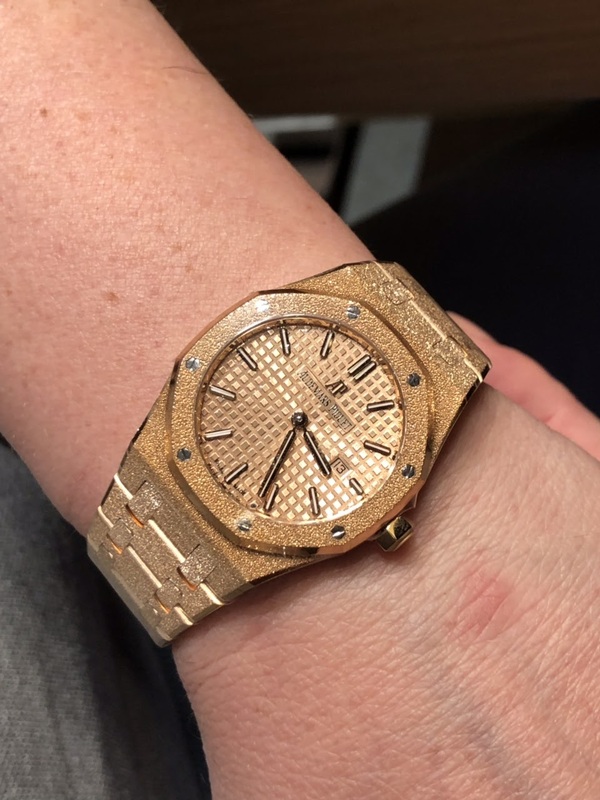 The frosted is for me to bling bling but for a lady it is a very stylish watch. 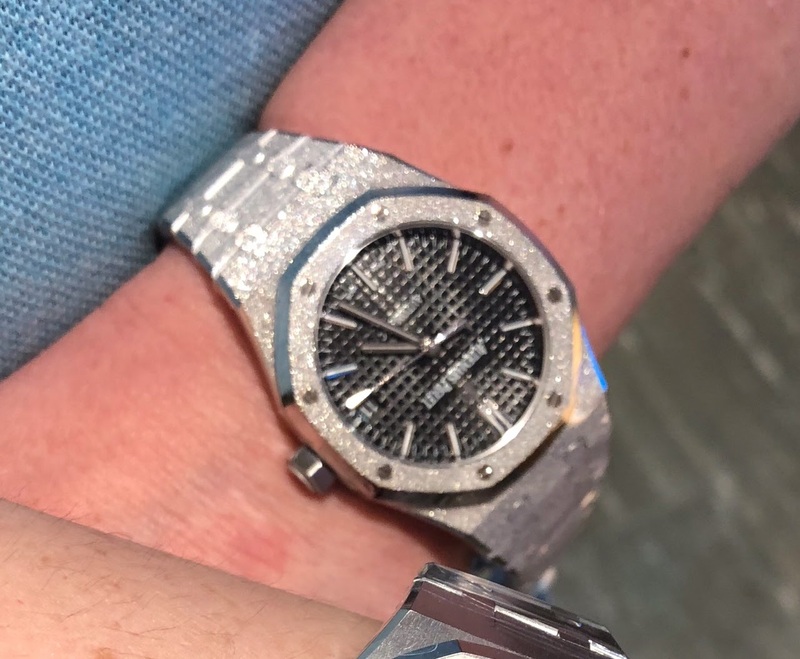 Lucky me my wife didn't go for it so we walked out with the ref 15450ST.OO.1256ST.02. A special thanks to the boutique manager who made us feel very welcome. The Boutique Manager Ita is truly a class act - it’s been to long but she fixed us up too! Great customer service!! Congratulations to this classy monochrome watch. I first thought of getting the grey. But ended up with White / Silver. 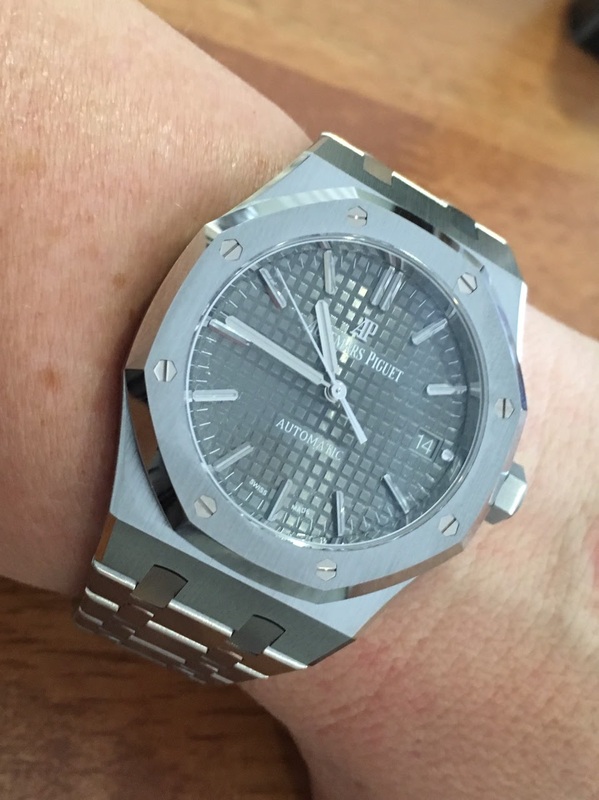 Seems to have the perfect size for your wrist. Well done. Best, V.